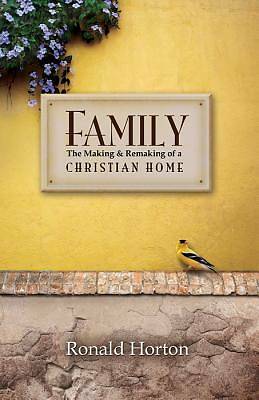 Family: The Making and Remaking of a Christian Home by Ronald Horton examines the model family as ordained by God in the Garden of Eden. Horton presents God's original plan for the family, Satan's attempts to destroy the family, and the God-ordained roles of each family member. Through the life examples of Bible personalities, he considers what holds families together, what pulls them part, and how to restore fractured relationships. He concludes, "The cure for family disorder is obedience of its members to the plan of God."